The company offers a large variety of services to choose from, i.e. : set-up of Investigators File, hand out binders and creation of materials for meetings, NCR paper Case Report Forms, Patient Booklets, recruitment materials, etc. 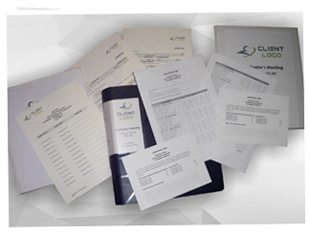 We are printing and compiling all materials into the study binders you are using in your clinical trial. We usually create Investigator Site File, however we can set up any other binders you would need in your clinical trial (i.e. : pharmacy binders, Submission Files, etc). We have a large variety of binder’s models you can choose from but also different templates of dividers we can use for separating the file sections. These can be personalized based on your needs by offering different formats, colors or materials to choose from. All materials will be printed as requested and filed at the correct section of the binder as indicated in the provided Table of Contents. The final deliverable will be the initial files ready to be used in your study.If you would like to ensemble the files on your own, we can only take care of printing the dividers sets, spine labels, front and back/covers and/or content pages. The final binders and/or materials will be carefully packed to avoid damaging and shipped to the place indicated by you, either to you/your affiliate’s offices or directly to the study sites. We can also pre-pack the materials per site, label them accordingly and ship them to one address so it is being easier for you when you want to ship them during the course of the study. Personalized materials: block notes, pens, USB drives or DVD/CD-ROM, etc. We can set up all materials you need for your meetings (Investigator’s Meeting, Monitor’s Meeting, GCP Trainings, project specific meetings, congresses, etc). We can create from hand-out folders to badges, list of participants, question cards or any other materials you need for your meeting.The meeting handouts can be set up in different formats as regular A4/A5/letter size paper binder or as booklets. 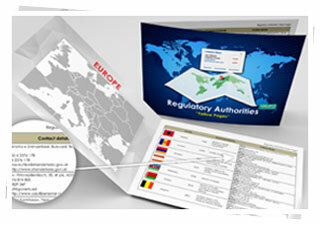 You can choose from the templates designed by us, or you can request your own templates for the handouts. We can set up and personalize all the rest of materials you need for your meeting and deliver them in final format to be distributed to attendees. For CRFs the printing will be done on A4 size NCR paper with 2 or 3 sheets and perforated to allow tear off of the top one/two pages and allowing the bottom one to remain in the binder. We will also print the cardboard visit dividers and file the NCR papers at the correct sections, delivering you the final CRF ready for data entry. 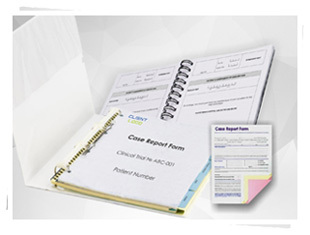 You can choose to receive sets of supplemental/replacement pages either at the beginning together with the CRFs or during the clinical trial as requested.For patient booklets/questionnaire we can use the classic A4/A5 size or any other size requested. 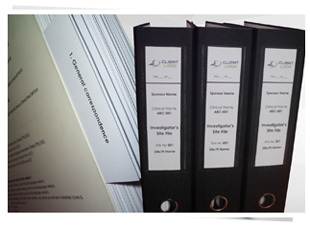 The printed paper can be filed in A4/A5 binders or can be stapled all together and take the format of a book. Like all our deliverables, we will pack and ship the final CRFs and patient booklets to the place indicated by the customer. 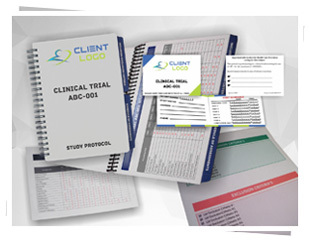 We have specialized staff in designing clinical trial materials (patient cards, brochures, posters, dividers, binders cover pages, spine labels, etc). We have our own templates for these materials, or we can create new templates or we can simply print the final version provided by the client.All printing and design specifications are carefully checked with you prior to production. You can even choose to receive a hard copy of the printed materials for final review prior to placing these under production. Please check out our picture gallery in order to see the type of materials we can create for you. Personalized materials: block notes, pens, USB drives or DVD/CD-ROM, paper clips, calendars, coffee mugs, mouse pads, etc. We can also cover other needs your company might have. 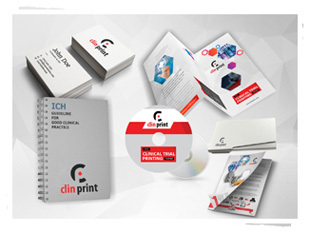 We can take care of printing your publicity material (brochures, flyers), business cards for your employees or any personalized materials you like.In case you would like us to handle any other printing job for you which is not listed in any of these sections don’t hesitate to ask; we are most likely able to handle it but we probably did not thought at it yet. Long version: Clinical research professionals often use short names or abbreviations in their communication. ClinPrint has developed a pocket size booklet (A6, 105 mm x 148 mm) which contains over 600 acronyms used in clinical research. The pocket booklet can be useful for CRAs during their monitoring visits, for Investigators, Study Coordinators or any other research professionals in their day to day business. Short version: for those of you with ‘small pockets’ 🙂 we have prepared a short version of the acronym list under a pocket card format which contains only 160 most frequently used acronyms in clinical research. 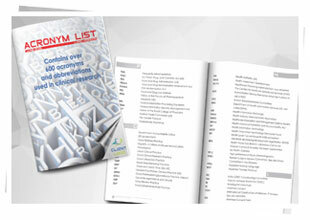 Note: upon request the acronym list can be updated with other terms frequently used in your company as well as we can create different designs or print it on different formats. Long version: the glossary lists over 200 terms used clinical research and is an ideal dictionary for clinical trials terminology which can be used by entry level but also experienced research professionals or any site staff members. The booklet was developed as a pocket size A5 format (148 mm x 210 mm). Short version: this version lists only the ICH GCP glossary on a pocket card format, easy to carry and handle. 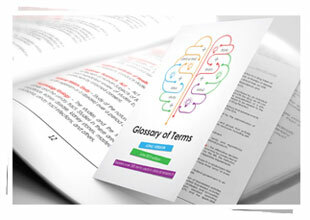 Note: upon request the glossary can be updated with other terms frequently used in your company as well as we can create different designs or print it on different formats. The second part of the booklet contains a table which lists all countries on the globe in alphabetical order together with their ISO codes (or country prefix on 2 and 3 digits), phone codes, population and country size in km2. Booklet format: A5 landscape (210 mm x 148 mm) format. Note: upon request we can create different designs or print it on different formats.